What a wonderful holiday season it was for Orphans of the Storm®! Did you hear the incredible news that over 100 dogs were adopted in the month of December alone?! Thank you to all of the new owners who are giving these dogs a second chance at a happy life. Plenty of dogs are still waiting for their new home, though, so come on in and meet them! Zeus the one-year-old Boxer/Pit Bull Terrier mix will definitely be able to live up to his powerful name–but for now, his wrinkly forehead and sweet expression just make you want to cuddle with him. 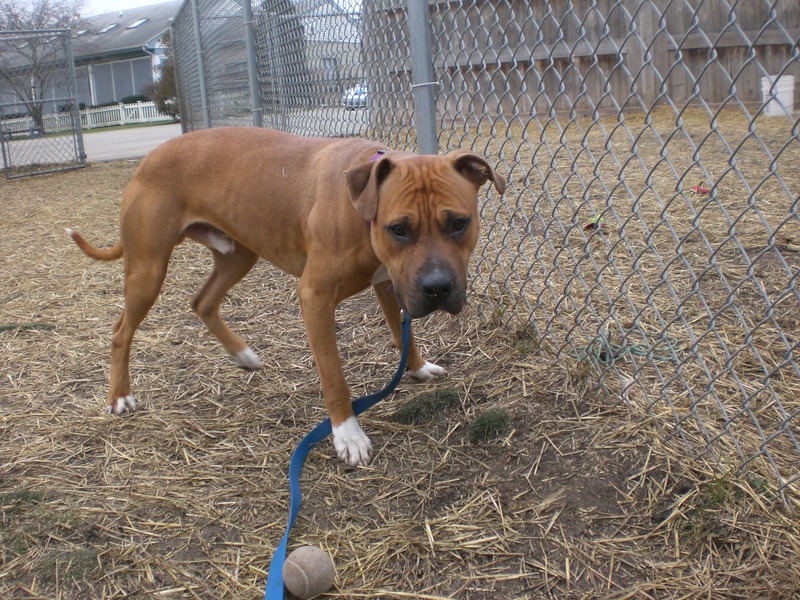 Although he’s a young dog, he walked pretty well on the leash (though he sometimes got excited when other dogs or people walked by, understandably) and would love to have a buddy to take him on nice, long walks. Even though Zeus is new to Orphans of the Storm®, he’s already a volunteer favorite. It’s easy to see why: he’s energetic, playful, friendly, and overall a happy dog who would be even happier with a new home in the new year. Could that new home be with you? Stop by and say hi to Zeus! 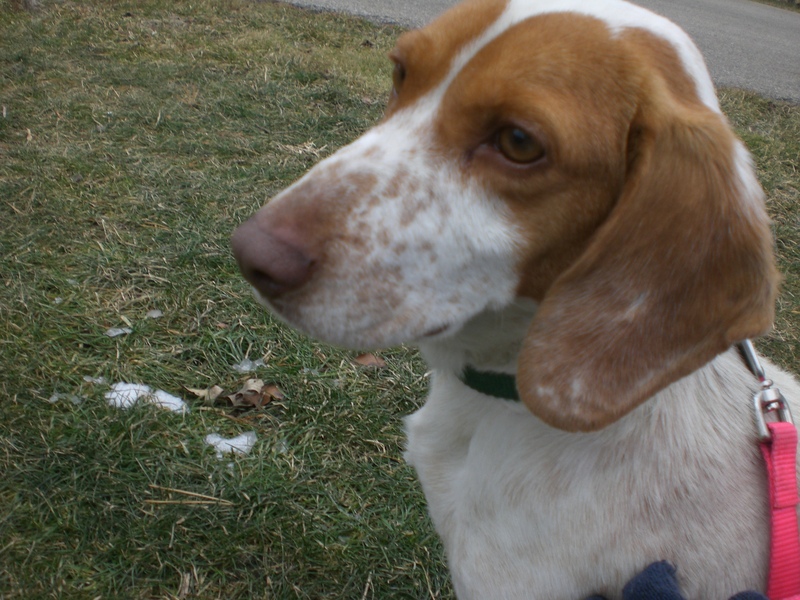 Dillon the three-year-old Basset Hound mix is beyond adorable. I just wanted to scoop him up and carry him everywhere with me–and luckily, he loves being carried, so it was a win-win situation. 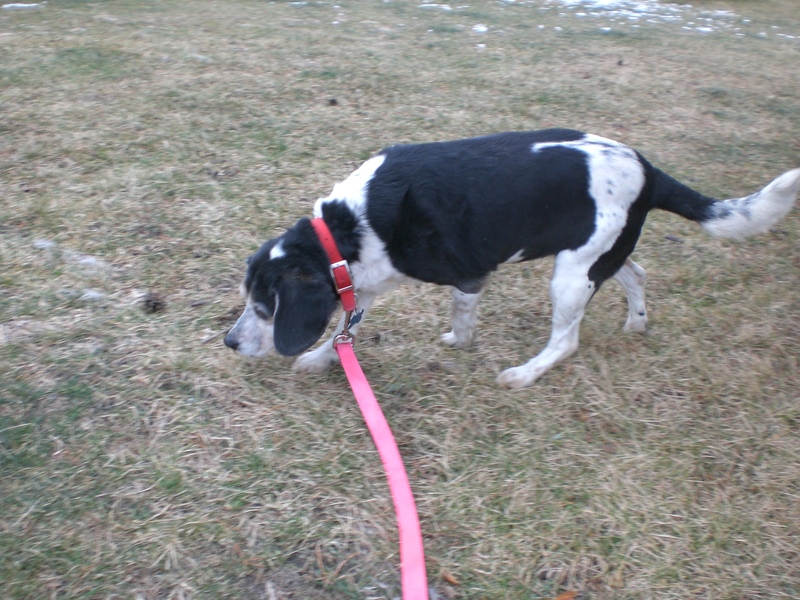 Dillon is much smaller than the usual Basset Hound and can fit nicely on your lap, where he enjoys sitting and being pet. Dillon is a little nervous and shy when you first meet him, but he warmed up pretty quickly and even had his tail out from between his legs and wagging by the end. He was also a bit nervous around a big Lab who came to say hello, but after a few minutes Dillon was the one who wanted to play! Show Dillon what true love is, and he will be sure to love you in return. 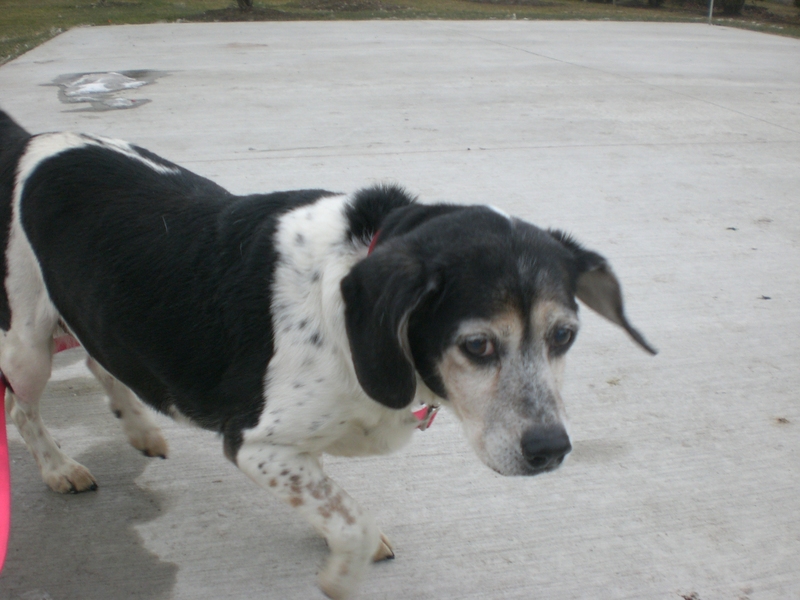 Freckles the nine-year-old Beagle mix is part of a package deal: she would love to find a home with her brother, nine-year-old Buckeye. I tried to take both of them out for a walk together, but Buckeye thought it was far too cold to venture outside (even when tempted with a nice doggy biscuit) so I just spent some one-on-one time with Freckles. Freckles is a typical Beagle, in that she spent most of her time with her nose to the ground, following all of the interesting scents. 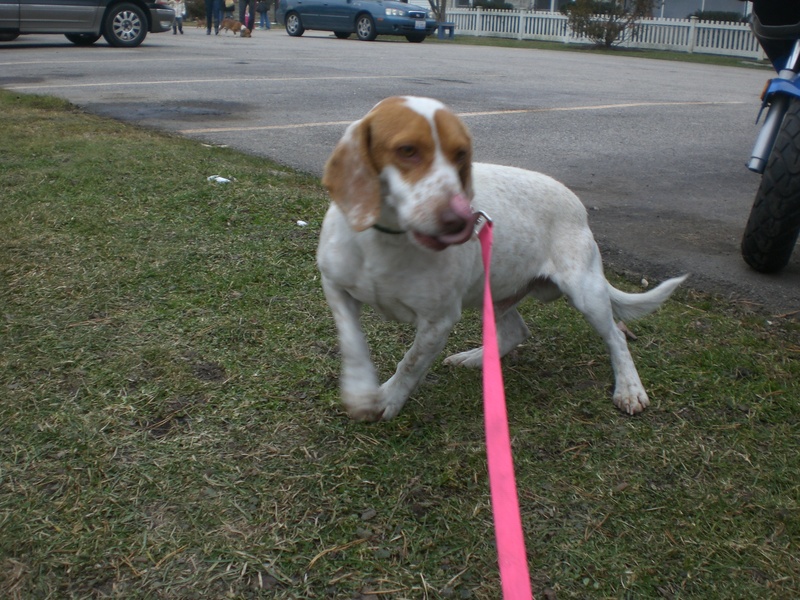 She is also a typical Beagle in that she is very friendly. She put her front paws up on my lap and gave my nose some gentle doggy kisses. 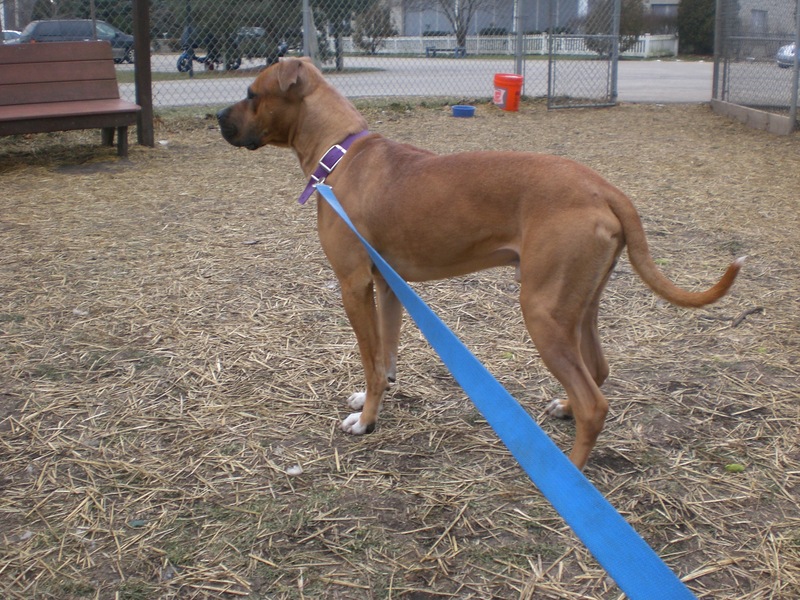 Since she and Buckeye are older dogs, they don’t need too much activity and will be able to keep each other company. If your home has room for two, please consider Freckles and Buckeye! December was an especially wonderful month for two Orphans dogs, Rocco and Forest. Both of them had spent years waiting for the perfect family to find them, and December 2012 was finally that time. There are still some other long-timers who are wondering when their new family will come for them, so as part of the new year, I’m going to highlight a few of the dogs I’ve already written about and hope that they get discovered. 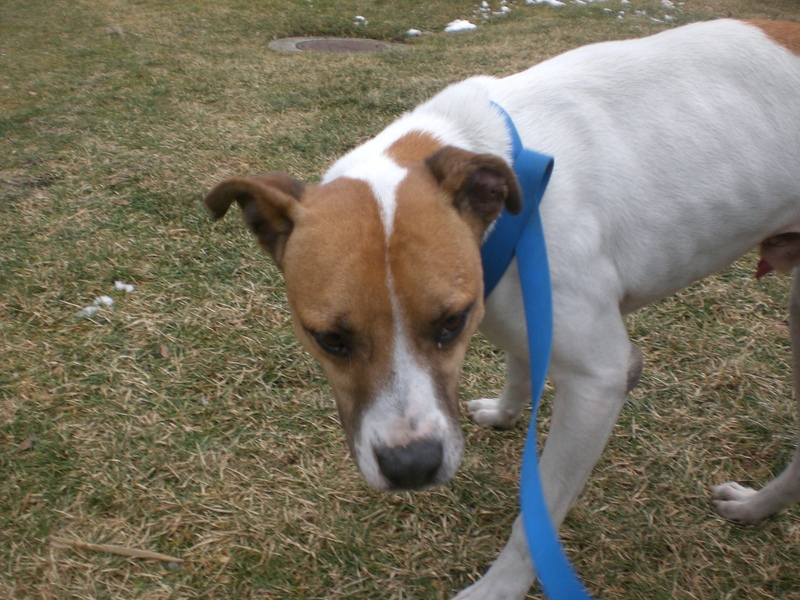 Corky the four-year-old Hound/Shepherd mix loves to play and go for long walks. He already knows some basic commands like “Sit”, which he will do automatically right at your feet if he thinks you have a treat hiding in your pocket. You can also tell him to be “Gentle” when he takes the treat from your hand. Corky is also a lover. When I knelt next to him, he first sniffed my pockets in the hope of finding some treats (which I didn’t have, poor guy) and then he happily licked my face. You can read more about my first visit with Corky here. 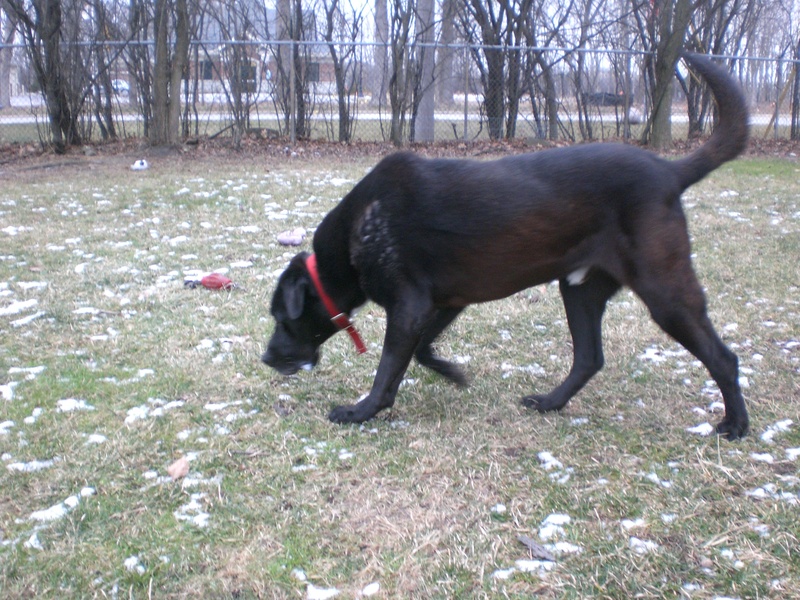 I’m not sure how many times I have mentioned Chewy the nine-year-old Black Labrador Retriever mix so far (it’s been a lot), but you may recall that he is my absolute favorite dog at Orphans of the Storm®. I love Chewy to bits and pieces, but the only thing (I think) that has held him back from being adopted is that he doesn’t particularly like other dogs. If you think you’re just a one-dog family, though, Chewy would be a wonderful addition. Since he’s older, he’s pretty slow-moving and extremely gentle. He will happily rest his chin on your lap and just enjoy being scratched behind the ears. I always spend some extra time at Chewy’s kennel to give him some love. Please read more about Chewy here. There will be more Orphans of the Storm® dogs, new and old, to come! Stay tuned, and happy new year! Posted by Meet the Pooches on January 7, 2013 in Dog Profiles and tagged adoption, animal shelter, Basset Hound, Beagle, Boxer, Chicago, dogs, Hound, Labrador Retriever, Orphans of the Storm, pets, Pit Bull Terrier, Shepherd. Cooper’s Way, Gourmet Jerky Treats is proud to announce we just donated 10 lbs of Chicken Jerky and over 20 lbs of cooked chicken to Orphans of the Storm. Cooper’s Way is a new business located in Glenview making Chicken, Pork & Sweet Potato Chip Jerky treats. We use human grade ingredients, all USA sourced, Naturally Dehydrated, Free of Additives & Preservatives. Like us on facebook, or go to http://www.coopersway.net to place an order!